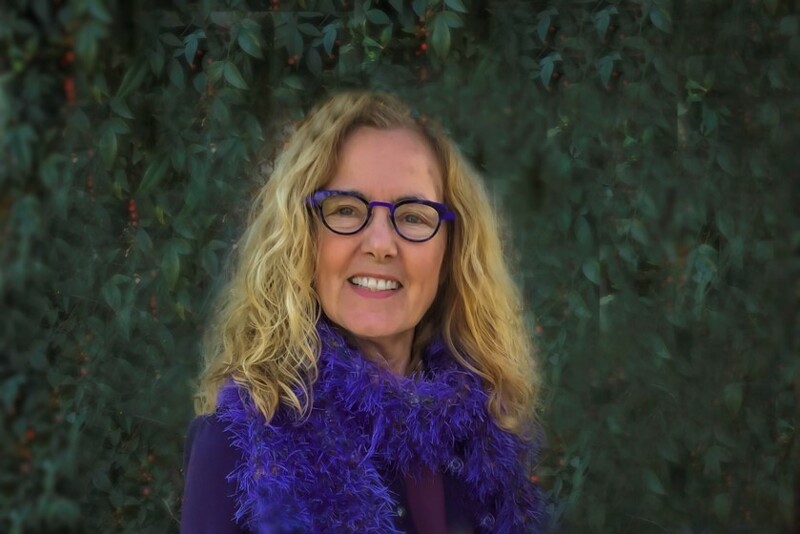 Barbara Larrivee is a longtime mindfulness practitioner and yogi, and has an Ed.D. in research methods and education and an M.Ed. in special education. She has spent her career translating research into strategies to help teachers become more mindful, self-reflective and socially-emotionally literate so they can then be models for their students. Her most recent book is A Daily Dose of Mindful Moments: Applying the Science of Mindfulness and Happiness. 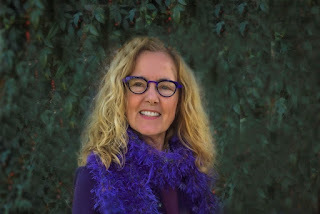 In this interview, Barbara discusses her books and her approach to mindfulness with Catharine Hannay, editor and publisher of MindfulTeachers.org. Barbara: My application of mindfulness goes beyond being present and nonjudgmental, taking the position that action should be at the heart of mindfulness. My definition of mindfulness incorporates the conscious consideration of how our behavior affects others. I contend that being mindful involves awareness, attention, and intention. Acting mindfully takes it to another level. I conceive of mindfulness as having three levels. For me, mindful teaching brings a teacher’s core values and actual behaviors into authentic alignment. When inner ideals and outer actions are in harmony, then you are truly mindful. Mindful teachers are self-reflective, that is, they test their actions against their beliefs about teaching, learning, and human behavior. Catharine: Why did you decide to focus on mindful moments, and how do you incorporate mindful moments in your own daily life? Barbara: For more than a decade, my meditation practice consisted of a daily meditation as soon as I awoke, in fact, even before I got out of bed to make sure I did it before the day got crazy. But a few years ago, I began questioning my daily meditation practice because I didn’t seem to be reaping the benefits I kept reading about. My meditation practice wasn’t translating into a calmer and gentler way of being. In fact, I felt constant angst. Soon after my morning meditation, a sense of gloom often came over me. A mindful moment can be anything that triggers the relaxation response, is enjoyable or elicits any positive feeling including the lift you get from being kind and helping others, energizes you when your energy wanes, or is self-soothing when you need a boost. We each have our own daily rhythm and it’s important to become aware of your own cycle of peaks and valleys. A targeted mindful moment practice can not only enhance mindfulness, but also reduce stress and negativity, sustain a positive outlook, and cultivate character strengths such as kindness, gratitude, and compassion. Catharine: How do you incorporate mindful moments into your own daily life? Barbara: My own “daily dose of mindful moments” incorporates taking frequent mindful moments, designating practices to follow for a day, setting daily intentions, and establishing daily rituals. By targeting some of my mindful moments to support my highest values, my practice serves a greater purpose. My first mindful moment is soon after I get up. I make it a daily ritual to think about my day and find something that I can look forward to in my day among all the things I have to do to remind myself to do at least one thing I enjoy, no matter how small. I try to take my mindful moments pretty much hourly throughout the day until dinnertime, then do a nightly ritual which I change after a while. My favorite is making a mental “I did it list” of what I got done. I also like to scan my day for the accomplishment I’m most pleased about, things I’m grateful for, or kindnesses others did for me. The idea is to have my last thoughts be positive ones, ending my day by taking a moment to be appreciative. Often during my day what I need is something relaxing to curb mounting stress. I’ve found my fastest route to relaxation is through my sense of touch and smell. I enjoy caressing my face with a feather, gently stroking my arms, rubbing some of my favorite essential oil on my forearms, or smelling some freshly cut flowers. At other times when I’m feeling beat up, I take a self-soothing break. If my day has gotten me in a bad mood, I do something that brings me a little pleasure or conjures up any positive emotion. I try to pause at the earliest signs of fatigue or stress. If I’m having an energy slump, I do something that is energizing like a few jumping jacks or running up a flight of stairs. I add mindful moments to my day with something I’m already doing, like eating, driving, or walking. I can often do “double duty” by using routine actions as my prompt for being mindful. Just something as simple as opening a door or entering a room can be a chance for a real “opening.” My hand on the doorknob acts as a cue to shift my attention—to switch out of autopilot into conscious action. My goal is not only to tailor my mindful moment practice to meet the range of challenges a given day brings, but also to nurture my core values. I spend some of my mindful moments being generous and doing things that enrich someone else’s day. My plan is to shoot for 10 mindful moments daily. I set a reminder on my Fitbit watch to take a mindful moment at regular intervals throughout the day. My anniversary is June 23, so I’ve set it to go off at 23 minutes after the hour for the hours I take them. I may not take my mindful moment break at exactly that time, it’s just a way to enhance my awareness and give me a target. I consider getting in 8-10 mindful moments a good day. And I don't stress if my daily schedule doesn't allow for consistent hourly mindful moments. Some days I get in very few. I just start each day with a renewed intention. It’s the cumulative effect that matters. That struck a chord with me, as I’ve seen many young teachers leave the field within a few years—or continue teaching but become increasingly burnt out and cynical. In your opinion, can mindfulness help to reverse this trend? Barbara: By regularly practicing mindfulness meditation, teachers are training their mind to operate in a nonjudgmental, minute-by-minute, present mode. When teachers learn to slow down their thoughts, they can create space between the urge to react and action, allowing for wiser and more considered decisions about how they want to respond to students. Over time, the practice of mindfulness meditation creates a way of being that is more accepting and less reactive. That being said, while a dedicated mindfulness meditation practice holds great promise, it takes a lot of practice before the full benefits accrue. I maintain it’s not enough—you have to develop complementary skills in order to actually be mindful. Teaching is a tough job that carries with it high levels of stress. A recent survey conducted by AFT and Badass Teachers Association of nearly 5,000 educators revealed that 61 percent of educators find work “always” or “often” stressful, twice the rate of other workers. In their 2015 survey, 34 percent of educators said their mental health was not good for seven or more days in the last month. In 2017, that number climbed to 58 percent. Teachers are largely at a loss about how to deal with their stress. They need to develop the tools necessary to limit their stress exposure. Teachers need to make preserving their well-being a high priority and take action on their own behalf. Two key avenues for reducing stress are developing mindfulness practices and enhancing self-compassion. To build up their defenses against stress, teachers need stress management and coping strategies. They need to find ways to get the vital peer support they need, navigate the spectrum of emotions teaching elicits, maintain work-life balance, and cultivate mindfulness and self-compassion. Because the stress response unfolds quickly, teachers need to be “early responders” to temper their initial response early on before it takes on a life of its own. They need ways to quickly access the body’s relaxation response to prevent stress from escalating throughout the day and help them keep their cool in the heat of the moment. The more proactive teachers are in noticing thoughts, judgments, and bodily signs and using stress-reducing strategies at the onset of stress, the more successful they will be in responding to stress. Is my self-talk being a good friend to me? Is my self-talk helping me to creatively solve this problem? Is my self-talk helping me feel the way I would like to feel? Another way to be a kind voice in your head is to transform your inner voice to a gentler tone by addressing yourself using “terms of endearment”—your nickname, “honey” or whatever term connotes loving kindness to you. Catharine: In your chapter, The Power of Self-Compassion, you advocate practicing self-compassion as a way to rein in the inner critic and replace it with a voice of support, understanding, and care. Why do you think it's especially important for teachers to practice self-compassion? Barbara: Teachers have to take care of themselves to have the internal resources to be good models for their students. Being able to have compassion for oneself is as important as having compassion for others. Research shows self-compassion is linked to multiple aspects of well-being. Those with higher self-compassion have lower levels of stress, anxiety, and depression. Self-compassion leads to many positive emotions, including happiness and optimism, as well as life satisfaction. Self-compassion can increase your coping and resilience capacity. Those who receive self-compassion training are less stressed, feel less shame, have less performance anxiety, and suffer less from perfectionism. Teachers need to take their innate compassionate instinct for caring for others and deliberately cultivate it for themselves by making sure they offer themselves the self-care necessary to prevent depleting themselves to the point of having no energy to extend compassion to their students. Compassion for self, as well as compassion for others, needs to be cultivated. Developing both capacities requires intentional practices to blossom to their full potential. Catharine: Can you suggest a few specific self-care practices for teachers? Give yourself a hug and hold it for a few seconds. It’s a quick way to soothe and comfort yourself. Gently stroke your palms and arms for 60 seconds. Self-stroking can be as soothing as being touched by others. Catharine: You're currently sponsoring Mindful Moments in My Classroom with profits from your book. Why did you decide to do that? Barbara: The daily mindful moment practice I’m advocating goes beyond awareness to taking mindful action with brief, research-based practices drawn from decades of research in mindfulness, positive psychology, and neuroscience. These practices can be easily tailored to classroom settings. Pausing for mindful moments is a way to meet students’ changing needs throughout the day and offers a means for integrating mindfulness and social-emotional learning to promote mindful, restorative, and compassionate actions. I believe a daily stream of mindful moments can keep students and teachers from getting stressed out, frustrated, or overwhelmed. My hope in funding these mindful moment projects is that teachers will create their own repertoire of mindful moments matched to their personal preferences and student needs by integrating mindful moment daily practices, setting daily intentions, and establishing daily rituals. Catharine: I’d love to hear more about the teachers' projects. Perhaps you could check back in at the end of the school year? Barbara: Yes. Let’s do that. The projects will start in January. Realistic Self-Care: Is It Possible to Keep All the Balls in the Air?